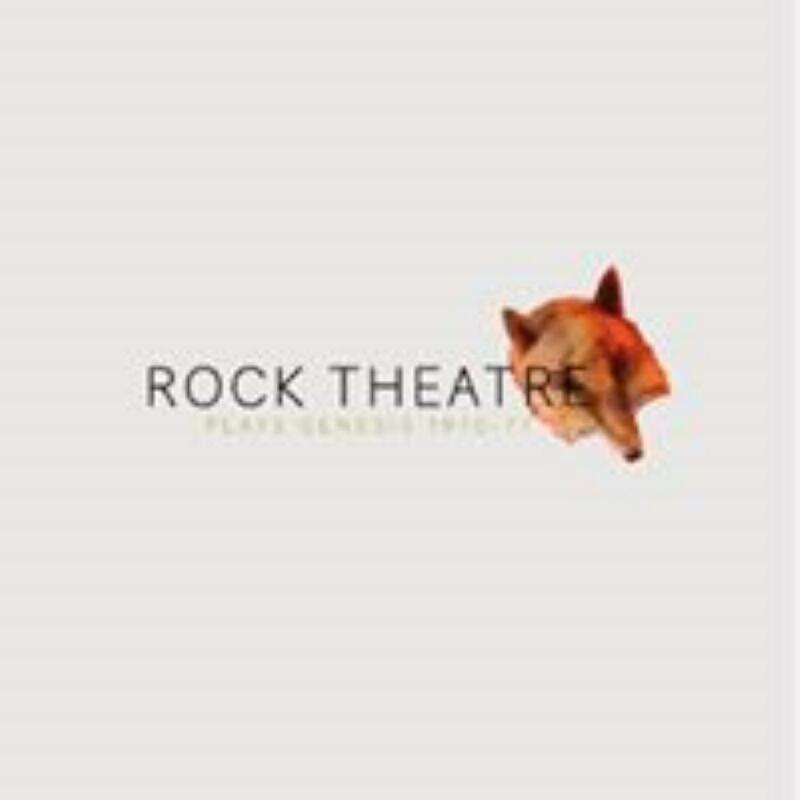 Last autumn the news was spread among Finnish prog-oriented facebook groups that a brand new GENESIS tribute band called Rock Theatre would soon start performing classic Genesis stuff from the timeline 1970-1977. Having been a fan of exactly that Genesis era since my teens, I was immediately interested. Rock Theatre gave their first gig in September 29th in their hometown Vaasa, and subsequent gigs in other Western/Southern shoretowns -- all of them rather far from where I live, so I haven't yet experienced their set live. However, they wasted no time in filming the beginning of their career to which I wish a long life (comparable to one of Tampere-based P.U.L.S.E. that plays the music of Pink Floyd to growing audiences, varying their sets a lot). This nearly 2-hour DVD contains the very first concert of Rock Theatre. At first only a limited number of copies were made for promotional purposes, but due to warm response from potential buyers such as me, it is now being sold (via internet) for 20 euros plus the posting costs, 3e domestically and 6e abroad. It actually looks rather modest in a simple CD-size cardboard sleeve, but the contents, even without any extras besides the gig itself, absolutely fulfill the expectations. The set list features 12 classics (plus a drum solo prefacing 'Los Endos' instrumental) and it's truly wonderful. The Gabriel-era songs naturally dominate, but happily the excellent quartet albums A Trick of the Tail and Wind & Wuthering are represented also. Starting with 'Watcher of the Skies', the concert contains a narrative continuity about the extra-terrestrial "Watcher" observing mankind and deciding to help it, ie. brief speeches in between tracks. I don't much like them, as they are just coming somewhere in a deep, theatrical voice. But theatrical and a bit detached approach concerning the whole performance seems to be a deliberate choice: the players on their white clothes are pretty stagnant on the stage and make no notable contact to the seated audience. Vocalist Bo-Anders Sandström -- who actually sounds a lot like Peter Gabriel -- uses various masks and costumes during the show, though nothing very spectacular apart from the encore. And with a good but moderate light show, the gig is a pleasure primarily for the music itself. The quintet plays the Genesis classics very faithfully to the originals, and they're really good at it. By the way, as far as I know, the founder of band is Charles Plogman, who has made a grade as an entertainment singer and now plays Steve Hackett's guitar parts with full confidence! On keyboards is his son Anton. The first half of the show features e.g. 'Cinemashow', 'The Knife' and 'Firth of Fifth'. The latter half begins with the acoustic guitar solo 'Horizons', played very convincingly by Sandström, followed by 'Supper's Ready'. Wow, this is predictably the biggest highlight. Also 'Dancing With the Moonlit Knight' is excellent. Charles Plogman introduces the band before 'Afterglow', and the whole atmosphere between the band and the audience is by now notably warmer. After the loud applause they come back for an encore, 'The Musical Box', Sandström wearing a fox mask and a red dress. Had the whole gig been this intensive, I might have given even five stars. I can wholeheartedly recommend this DVD for a fan of Genesis (1970-77), despite Steve Hackett having released quite a many Genesis oriented concert DVD's by now. And I'm pretty certain that I'm going to see Rock Theatre on stage, hopefully soon!